SAN FRANCISCO, CA--(Marketwired - Mar 19, 2014) - Strategic Storage Trust, Inc. (SSTI) -- a publicly registered non-traded REIT investing in self-storage -- recently acquired additional interests of approximately 86% and now owns a majority (98%) interest in a 1,120 unit self-storage facility located in downtown San Francisco from various investors in a Delaware statutory trust. This building was previously re-branded under the SmartStop® Self Storage trade name. 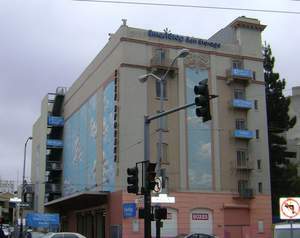 Located at 190 Otis St., the 76,200 square-foot facility offers eight levels (one basement and seven stories) of self-storage units and was converted to self-storage in 2000. "This San Francisco facility is located in one of the highest visibility locations in one of the most dense urban markets in the country," said H Michael Schwartz, chairman and CEO of SSTI. "The Class A building also offers prime freeway exposure as it is located adjacent to the 101 Freeway."